The trial of Jean-Pierre Bemba Gombo opens in Trial Chamber VI at the International Criminal Court on September 29, 2015. Photo: ©ICC-CPI. The 16th session of the Assembly of States Parties to the International Criminal Court (ICC) got underway on December 4, 2017, at the United Nations (UN) in New York with full African turnout. This has been a particularly eventful year for African states’ relationship with the world court. In January, the African Union (AU) adopted a non-binding resolution calling for member states to abandon the ICC, raising the possibility of a mass walk-out. African countries seemed to be signaling a collective vote of no confidence for the global community’s most prominent organization authorized with curbing the impunity of those responsible for war crimes and crimes against humanity. The AU resolution came on the heels of moves by the governments of Burundi, Gambia, and South Africa to withdraw from the ICC. The movement to withdraw from the ICC has gained little ground among the African public. The most vocal advocates for withdrawal portrayed the institution as an instrument of neocolonialism being used against Africa. This narrative appears to have limited appeal, however. Despite the heated rhetoric, a mass exodus from the ICC has yet to materialize. Moreover, the voices of countries opposed to withdrawal have grown, including Burkina Faso, Botswana, Ghana, Liberia, Malawi, Nigeria, Senegal, Sierra Leone, Tanzania, and Zambia. Many of the countries that have spoken against withdrawal see the Court as an extension of their commitment to greater accountability for gross violations of human rights and international crimes. There has even been pushback from the countries leading the call for withdrawal. Shortly after taking office in January 2017, Gambia’s democratically elected president, Adama Barrow, reversed his predecessor’s order to withdraw from the Court. South Africa’s High Court ruled in February 2017 against the government’s decision to withdraw, finding it inconsistent with the country’s constitutional principles and in violation of established procedures as Parliament was not duly consulted. Pursuant to the ruling, the High Court ordered the presidency to withdraw its order. Accordingly, the South African government reversed its position and notified UN Secretary General António Guterres that it no longer intended to withdraw. At the ICC’s Assembly of States Parties in December, however, the Zuma Administration announced that it would serve a fresh notice to Parliament of its intention to leave the ICC. Until that happens, Burundi is the only African country that has left the ICC. Its withdrawal became effective in October 2017. 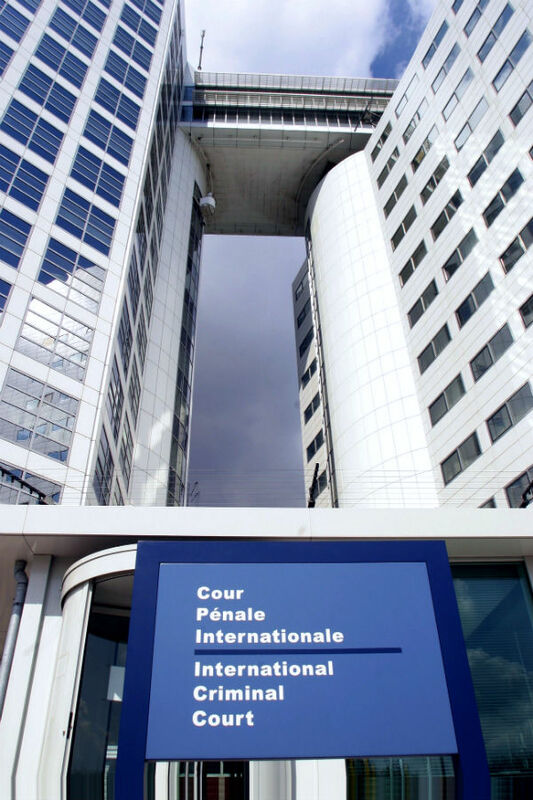 However, that same month, the ICC opened a formal investigation into alleged crimes against humanity in Burundi on the basis of a preliminary investigation launched in December 2015. Under the principle of universal jurisdiction, departure from the ICC neither absolves a country of its obligations nor stops an investigation. The movement to withdraw has also has gained little ground among the African public. The reversals by Gambia and South Africa align with wide support among the African public for the ICC, and in particular, the demand for accountability. Afrobarometer found that 55 percent of Africans supported staying in the Court. Hundreds of organizations expressed dismay over South Africa’s announced withdrawal and issued coordinated statements urging nations to remain members of the Court. In November 2016, 31 NGOs presented a letter to African delegates at the Assembly of States Parties urging them to address their grievances through available channels rather than leave the Court. This followed some 130 community-based organizations across Africa petitioning African foreign ministers to reject proposals to withdraw from the Court. The effort to keep Africa inside the ICC also enjoys the backing of several former African statesmen and women, including The Elders, an influential grouping of global leaders founded by Nelson Mandela. One of its members, Archbishop Emeritus Desmond Tutu, the renowned anti-apartheid activist and former chair of the South African Truth and Reconciliation Commission, has referred to the ICC as “Africa’s Court.” “ICC couldn’t be more African if it tried,” he said in response to the prospect of a mass African departure. African states drove the establishment of the ICC. It is often forgotten that African states drove the establishment of the ICC in 1998. Of the Court’s 124 member states, 34 are African—the largest regional membership outside of Europe. At the time the Rome Statute establishing the Court was adopted, the Organization of African Unity (later African Union) was dealing with the aftermath of the 1994 genocide in Rwanda and the Arusha peace process in Burundi. These two pivotal cases convinced African leaders of the value of complementary justice involving international and national bodies as a means of reinforcing African jurisprudence. In fact, the language of the Statute states that the ICC is a jurisdiction of “last resort” that would complement and not replace national courts. African ownership of the Court was further aided by a groundswell of support from African civil society coalitions and robust diplomacy by some of the continent’s leaders, key among them former South African presidents Nelson Mandela and Thabo Mbeki. 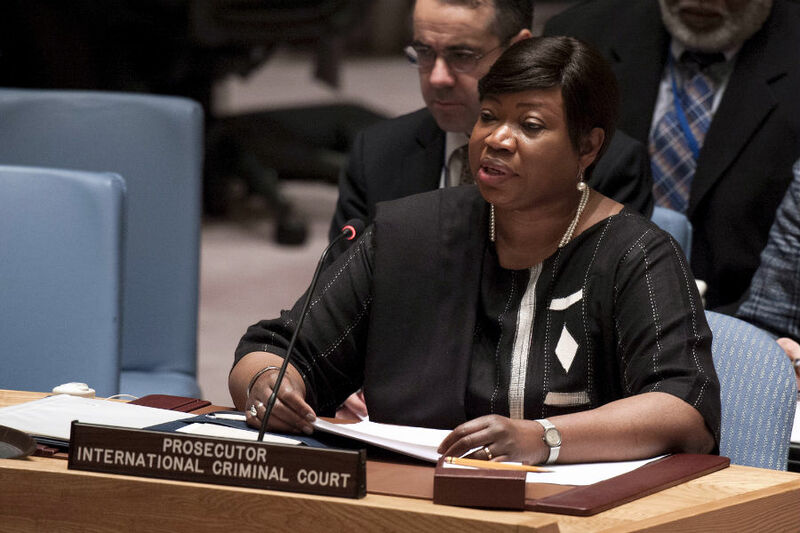 ICC Prosecutor Fatou Bensouda. Photo: UN/Kim Haughton. At the Rome Conference, ministers from the Southern African Development Community demanded that an independent prosecutor within the ICC should have the power to initiate investigations and not—as was favored by Western countries—just the UN Security Council. In the end, the African position prevailed, and two avenues for initiating investigations were adopted: referral by a state or at the initiative of the Court’s Chief Prosecutor. African countries also pushed for a well-resourced Court and urged the full cooperation of African states. By contrast, many Middle Eastern states did not sign onto the Statute, and major powers, including China, Russia, and the United States have not ratified it. In June 2002, Uganda ratified the Rome Statute, and two years later became the first country to refer a case to the Court, requesting that the Lord’s Resistance Army be tried for war crimes. The fear of prosecution resulted in the defection of hundreds of LRA fighters, who benefited from an amnesty put in place by the Uganda government. Since that time, several African countries have established mechanisms building on the concept of complementarity and the integration of formal and restorative justice. The Protocol on Reconciliation and Accountability of the final peace accords reached with the LRA, for example created a hybrid mechanism that provided for truth telling, symbolic and material reparations, expanded amnesty, victim compensation, and special war crimes jurisdiction. It also recognized and promoted the use of traditional and non-punitive mechanisms of justice and reconciliation unique to northern Uganda, such as Mato Put and Culo Kwor. Furthermore, through the assistance of the ICC, an International Crimes Division was established in the Uganda High Court to try senior LRA leaders who were disqualified from benefitting from the amnesty law. This division is currently trying former LRA commander, Thomas Kwoyelo, for war crimes and crimes against humanity. The ICC is also assisting the establishment of a Special War Crimes Court for Liberia, a key recommendation of the Liberia Truth and Reconciliation Commission and has provided technical assistance to the Special Court for Sierra Leone. It has committed to doing the same in the Central African Republic, which is setting up a similar war crimes court. Furthermore, an International Crimes Division was established in the Uganda High Court to try senior LRA leaders who were disqualified from benefiting from the amnesty law. This division is currently trying former LRA commander Thomas Kwoyelo for war crimes and crimes against humanity. Liberia established a Truth and Reconciliation Commission that examined human rights violations committed under the rule of the late Samuel Doe and of Charles Taylor. Among its recommendations is the establishment of a Special War Crimes Court. In the Central African Republic, a hybrid tribunal that has jurisdiction over grave human rights violations and serious violations of international humanitarian law committed since 2003 is starting to take shape. While the specter of neocolonialism has driven the narrative against the ICC, individual motivations are less straightforward. In April 2016, the Court launched a preliminary examination of serious human rights abuses by Burundi’s security forces, and an independent UN investigation found evidence of widespread violations amounting to crimes against humanity, including the potential for genocide. Alarmed by the findings, the UN established an International Commission of Inquiry on Burundi. In return, Bujumbura barred UN investigators, accused the ICC of colonial bias, and submitted its letter of intent to withdraw from the ICC. 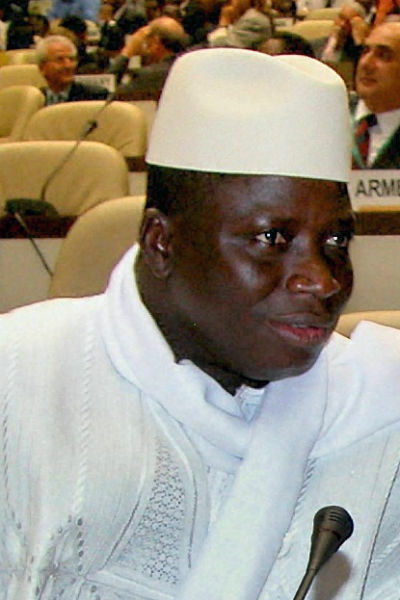 Former Gambian leader Yahya Jammeh. Similarly, the regime of ousted Gambian leader Yahya Jammeh had been frequently accused of human rights violations, including disappearances, torture, and extrajudicial killings. Jammeh’s opposition to justice and accountability at home extended to other crises on the continent. He led opposition to the AU decision to deploy a civilian protection force to Burundi, as well as the independent UN investigation. President Adama Barrow has subsequently called for a Truth and Reconciliation Commission to investigate the Jammeh administration’s possible crimes. While Burundi and Gambia’s individual motivations appeared to have been driven by the desire to escape scrutiny, South Africa’s attention to withdraw came as a greater shock given its reputation as a global leader in human rights. Indeed, post-apartheid South Africa’s diplomatic efforts persuaded some African countries to join the Court. At home, it pursued a comprehensive transitional justice program, one that was used as a model across Africa and Latin America. Some have suggested that South Africa’s motivations were tied to the growing tension between President Jacob Zuma’s administration and the country’s independent judiciary. In 2015, the Supreme Court ruled that the executive had violated national laws by failing to arrest Sudanese leader Omar al Bashir—who has been indicted by the ICC—while he was at an African Union summit in Johannesburg. In 2016, the High Court dismissed Zuma’s appeal seeking to block a Court ruling that corruption charges against him be reinstated. Although all eight open ICC cases involve Africa, four were requested by the leaders of those countries, two more were initiated by the UN Security Council and supported by African representatives, and another was requested by both sides of a violent conflict. Arguments against the ICC have primarily focused on alleged bias against African leaders, due to the disproportionately high number of investigations of African cases. But the story is more complex. Although all eight open cases involve Africa, half of them (Central African Republic, Democratic Republic of the Congo, Mali, and Uganda) were requested by the leaders of those countries. The Libya and Sudan cases were initiated by the UN Security Council and supported by the African representatives on the Council at the time—Gabon, Nigeria, and South Africa in the Libyan case, and Algeria, Benin, and Tanzania in the Sudan case. Kenya and Côte d’Ivoire are the only cases initiated by the ICC itself. However, in Kenya, each of the opposing parties in the post-election violence of 2007–08 wrote to the ICC demanding that it conduct investigations on the other. The ICC Chief Prosecutor reluctantly took up the Kenyan case after the chief mediator in the crisis, Kofi Annan, forwarded evidence and names compiled by a National Commission of Inquiry after lawmakers failed to pass a bill establishing a Special Tribunal. Prior to Annan’s submission, the ICC had been more inclined to support the Kenyan bill, consistent with the Court’s preferred tradition of supporting countries build on their own judicial mechanisms. The African Court on Human and People’s Rights grants immunity to heads of state and senior government officials, a provision that many say negates its primary mission to combat impunity. Withdrawal advocates cite the African Court on Human and People’s Rights as a regional alternative to the ICC. But the treaty establishing the regional court was adopted in 1998. It subsequently took 16 years to be finally ratified. Only 30 African countries are members, and just six of those accept its jurisdiction to receive complaints from individual citizens. Furthermore, it grants immunity to heads of state and senior government officials, a provision that many say negates its primary mission to combat impunity and further justice and accountability. Historically, the ICC has been supported when it pursued regime opponents and condemned when it turned on incumbents and their allies. Yet the key rationale for the Court was to enhance accountability and foster stability, regardless of the investigated party. Recent experience with the implementation of peace agreements in Africa bear this out: When accountability provisions are weak, peace processes are more likely to collapse and post-conflict societies are more fragile. In Burundi, elites favored immunity and power-sharing over accountability. As a result, the Arusha Agreement, once hailed as a model for African peacemaking, was weakened, and the ground was softened for the seeds of the current crisis. Burundi is now witnessing the return of patterns of impunity that harken back to its history of targeted killings and genocide. Similarly, peace agreements in South Sudan, while strong on power-sharing, have been weak on accountability, and genocide looms in the world’s newest country. When accountability provisions are weak, peace processes are more likely to collapse and post-conflict societies are more fragile. The ICC Arc Building in the Hague. Photo: ©ICC-CPI. The South Sudan crisis is a compelling case for why, regardless of whether African countries opt to stay or leave the ICC, accountability will remain a priority for future stability. South Sudanese citizens, including 35 NGOs, have petitioned the AU to implement its decision to establish a hybrid tribunal to bolster the country’s weak judicial sector. 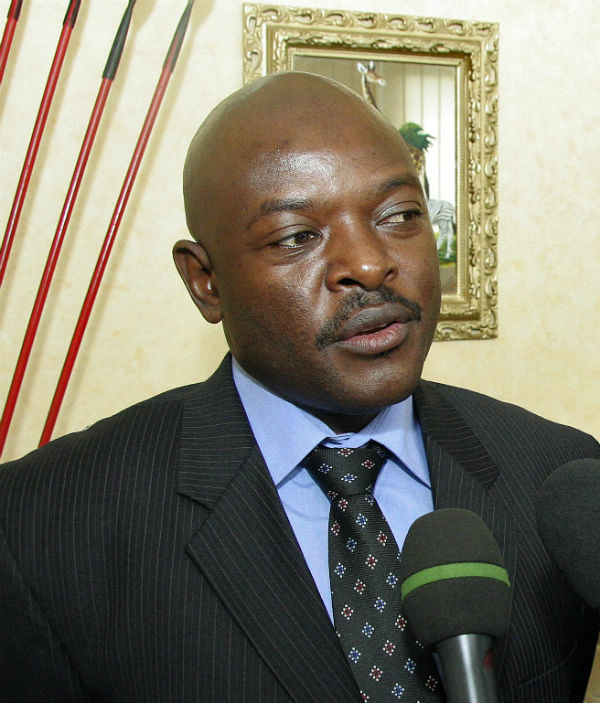 Similarly, as a troubled mediation process struggles to gain traction in Burundi, civil society groups have vowed that they will not welcome a future agreement that doesn’t have accountability at its core. The tension between calculations of regime survival and the interests of victims and survivors of mass atrocities lies at the heart of these debates on the ICC in Africa. As long as the institutional and political drivers of human rights abuses remain embedded in the exercise of power, robust accountability will be required to deter future violations. Paul Nantulya, Tyrone Savage, and Charles Villa Vicencio, “Transitional Justice in the African Great Lakes Region: Burundi, DRC, Uganda, and Rwanda,” Institute for Justice and Reconciliation, 2005. Mark Kersten, “The Africa–ICC Relationship: More and Less than Meets the Eye,” Justice in Conflict, July 17, 2015. Gerhard Werle, Lovell Fernandez, and Moritz Vormbaum, Africa and the International Criminal Court, September 9, 2014. Paul Nantulya, “African Nation Building and Reconstruction: Lessons from Rwanda,” African Center for the Constructive Resolution of Disputes, Conflict Trends, January 2006. Al Jazeera, “ICC Debate: Africa vs. ‘Infamous Caucasian Court’?” October 26, 2016.